Tour one of Roanoke’s most famous homes. The home and studio of artist, Thomas Hart Benton will be one of the (6) homes featured on the 2017, Spring Home & Garden Tour (June 10th) of the Roanoke Park Neighborhood. The home will also be hosting a VIP, garden party for VIP ticket holders, following the general tour. 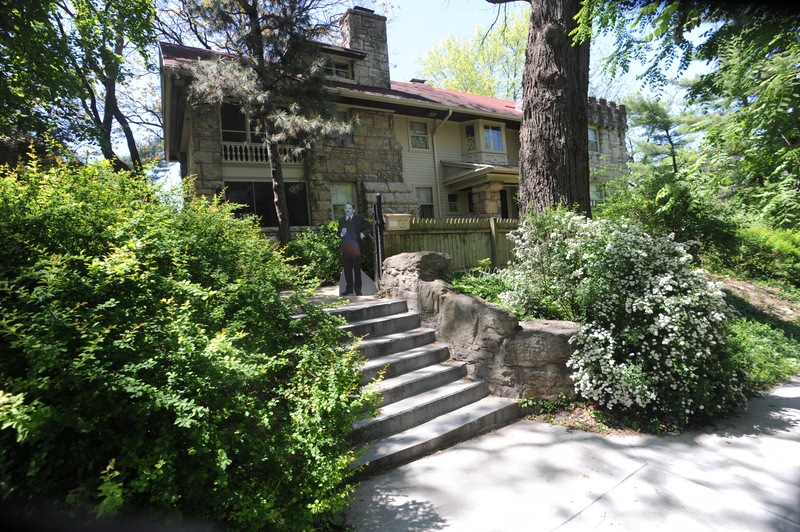 The Victorian stone house was the famous artist’s home from 1939 until his death in 1975. Benton converted the carriage house into his art studio. The home and studio remain as the family left it after the passing of both Mr. Benton (at home, in his studio) in 1975 and Mrs. Benton, just eleven weeks later. This entry was posted in Featured Homes, Uncategorized and tagged architecture kcmo, benton home, historic homes kcmo, historic neighborhoods, homes tour kcmo, kansas city homes, limestone homes, midtown kcmo, missouri state historic sites, roanoke neighborhood, roanoke park, thomas hart benton home.